Yokogawa Electric Corporation announces that it has concluded a strategic partnership agreement with Rosneft. The agreement was signed on June 16 at the 21st World Petroleum Congress. Under this agreement, Rosneft will on a tender basis consider Yokogawa as a vendor of automated process control systems for the Company’s subsidiaries. Under this strategic partnership agreement, Yokogawa will guarantee the supply of cutting-edge process control and measurement systems, information technology, and instruments as well as the provision of implementation and maintenance services. In addition, the two companies will set up technical centers for the provision of training, professional development, and information support services to the oil and gas production, refining, and petrochemical industries. Yokogawa has had a foothold in the Russian market since 1993, when it opened a representative office in Moscow. In 1997, our subsidiary was founded there to launch this business on a full scale. We have been aggressively expanding our business not only in Russia but also in other CIS nations, and have reinforced our customer services by setting up sales offices and establishing technical centers. 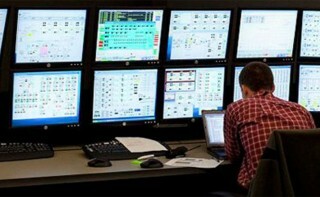 Some of Rosneft’s refining and petrochemical subsidiaries already utilize automated process control systems supplied by Yokogawa Electric Corporation. Yokogawa control systems are also in use with the Achinsk, Komsomolsk, Kuibyshev, Novokuibyshevsk and Syzran refineries, the Ryazan Oil Refining Company, Angarsk petrochemical company, Angarsk polymer plant and Novokuibyshevsk lubricants and additives plant. Technip has been awarded an engineering, procurement and technical assistance contract by Fengzhen Wanjie Gas Co. Ltd. for a liquefied natural gas (LNG) plant in Fengzhen City, Inner Mongolia Province, China. The plant will consist of 1.3 million Nm3/day(1) LNG train (0.35 Mtpa) and a 0.3 million Nm3/day Compressed Natural Gas (CNG) station. procurement of key equipment such as the main cryogenic heat exchanger, mixed refrigerant compressor, boil-off gas compressor, LNG in-tank pumps, cryogenic control and on-off valves. The LNG plant will be based on an Air Products liquefaction process. Technip’s operating centers in Shanghai, China, and Kuala Lumpur, Malaysia, will execute the contract with plant start-up scheduled for the second half of 2016. Yokogawa Electric Corporation announces that its subsidiary, Yokogawa China Co., Ltd., has received orders from Shaanxi Yanchang Petroleum (Group) Co., Ltd.* (Yanchang Petro) to supply Yokogawa control systems for two groundbreaking oil plant construction projects in China. Both of these plants will employ KBR’s Veba Combi-Cracking (VCC) process, an advanced technology that is capable of converting petroleum residues into high quality gasoline and diesel oil products. The first of these project orders is for Shaanxi Yanchang Petroleum (Group) Co., Ltd. Oil-coal New Technology Corporation, a Yanchang Petro subsidiary that is constructing an advanced coal/oil co-processing pilot plant. This plant will convert coal and refining residues into diesel oil and other high value-added products, and will have an annual production capacity of 450,000 tons. The second order is for phase 1 of a project by Shaanxi Yanchang Petroleum Anyuan Chemical Co., Ltd., also a Yanchang Petro subsidiary, that involves the construction of a coal tar hydrogenation plant. This plant will produce light and heavy paraffin oil from coal tar. When completed, this plant will have an annual production capacity of 1 million tons, making it one of the largest plants of its type in China. Under the terms of its contract with Yanchang Petro, Yokogawa China will provide the CENTUM® VP integrated control system for both projects as well as engineering and commissioning services. The two plants are scheduled to start operation in June 2014. In China, Yokogawa has a strong track record in providing control systems for use in large-scale chemical and petrochemical plants and has supplied Yanchang Petro with numerous control systems, field instruments, and analyzers. Yokogawa’s success in winning this order from Yanchang Petro can be attributed to the reputation of our control systems for being highly reliable and our rich engineering experience and ability to provide appropriate engineering services on time. Rotork has received orders for over 700 of its latest IQ3 non-intrusive intelligent electric valve actuators with Pakscan P3 two-wire digital control systems for the Pengerang Terminal on the south east coast of Malaysia. Situated near to the city of Johor Bahru, the five million cubic metre capacity terminal is a part of the country’s Economic Transformation Programme, designed to create a more dynamic and progressive oil and gas industry in Malaysia.